Array databases have set out to close an important gap in data management, as multi-dimensional arrays play a key role in science and engineering data and beyond. Even more, arrays regularly contribute to the “Big Data” deluge, such as satellite images, climate simulation output, medical image modalities, cosmological simulation data, and datacubes in statistics. Array databases have proven advantageous in flexible access to massive arrays, and an increasing number of research prototypes is emerging. With the advent of more implementations a systematic comparison becomes a worthwhile endeavor. 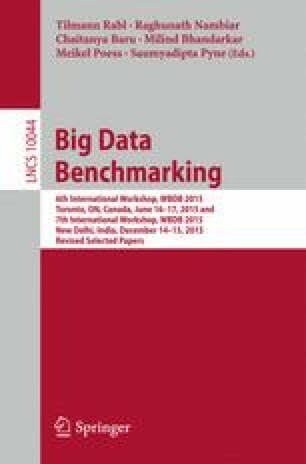 In this paper, we present a systematic benchmark of the storage access component of an Array DBMS. It is designed in a way that comparable results are produced regardless of any specific architecture and tuning. We apply this benchmark, which is available in the public domain, to three main proponents: rasdaman, SciQL, and SciDB. We present the benchmark and its design rationales, show the benchmark results, and comment on them.